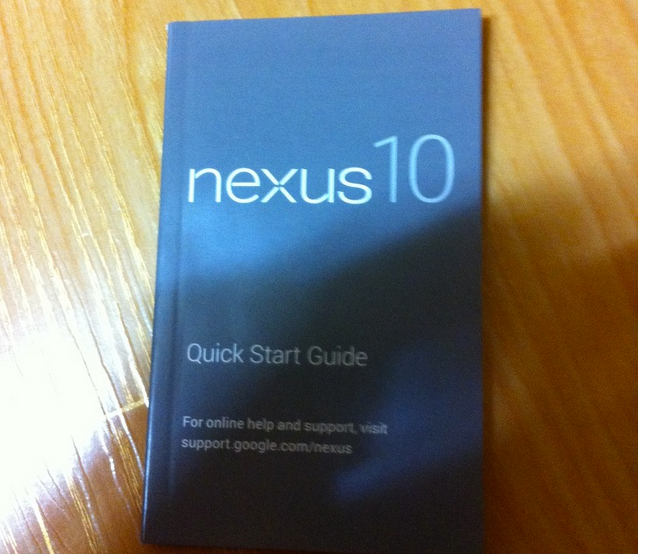 Is This the User Manual for the Samsung Nexus 10? While the LG Nexus 4 hasn’t been much of a secret for weeks now, the rumored Samsung Nexus 10 tablet has been kept well under wraps. The only hints of its existence have come from sites like Picasa or through unconfirmed rumors floating about the tech industry. 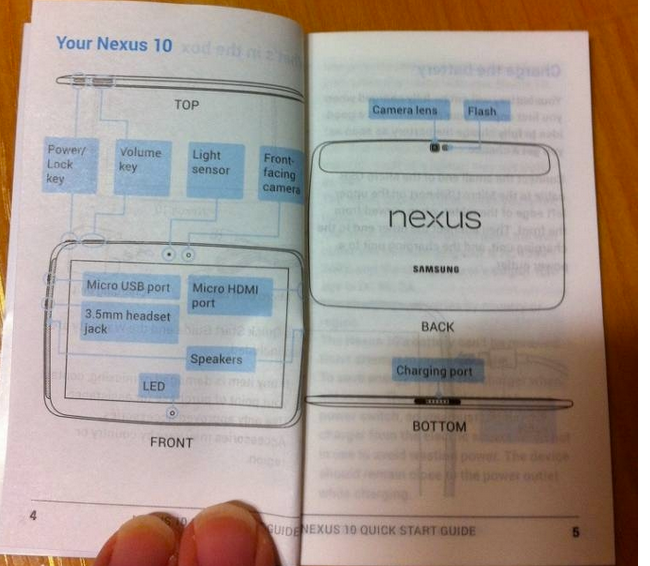 So when we were pointed to these photos, of what appear to be of the user manual for the Nexus 10, our attention was grabbed. If real, this user manual depicts a tablet similar in looks to the Galaxy Tab and Note 10.1 from Samsung. You can see a “Nexus” logo plastered in the middle, a rear camera with flash, dual speakers, LED light, and variety of ports in all the right places. What this doesn’t give us, is whether or not this tablet truly does sport the ultra-high resolution display (2560×1600) that has been rumored. There have been mentions of a potential unveiling next week in NYC at Google’s Android event. We aren’t sure we fully believe that that will happen, but we sure wouldn’t complain if it did.